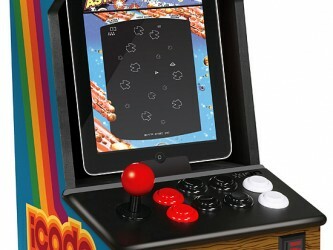 iCade Shipping Sooner Than Expected! Pre-Order NOW! I think one of the only things I look forward to on April Fool’s day is the concept product ThinkGeek.com shows the world. Where the rest of internet is set to inform with you insidious lies, ThinkGeek is hard at work to make such a sweet product that you THINK it’s fake but might happen depending on feedback. Fortunately, yet another excellent idea is coming and Thinkgeek.com teamed with ION to produce the original concept model first debuted in 2010. 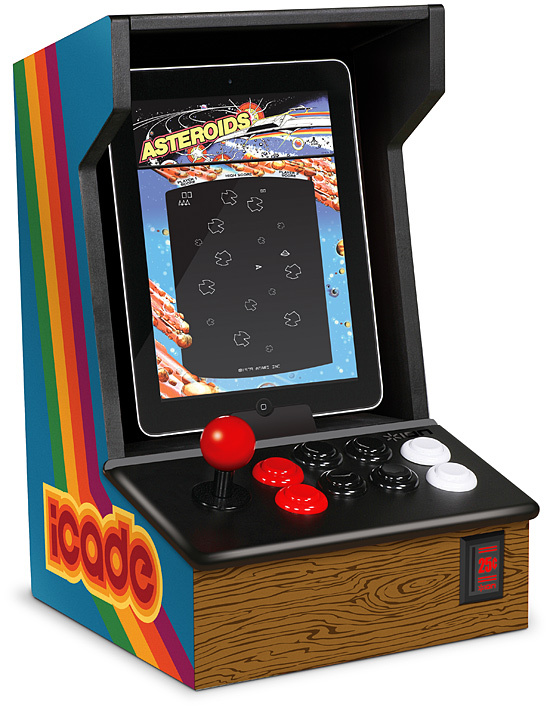 Thankfully software is already available to work with the iCade: Atari’s Greatest Hits and is priced really nice at $15 for 100 games. The iCade (Priced at $99) works with the iPad 1&2 via bluetooth, so you don’t have to fear any licensing issues or problems introduced with Apple’s proprietary cabling. The other benefit is that other apps can easily use the API and hook into the iCade. More software will definitely be making it’s way out and I’d suspect that the jailbroken variety will jump fairly quickly as well.